The following is excerpted from Tad Walch of the Deseret News. To read the full article, click here. 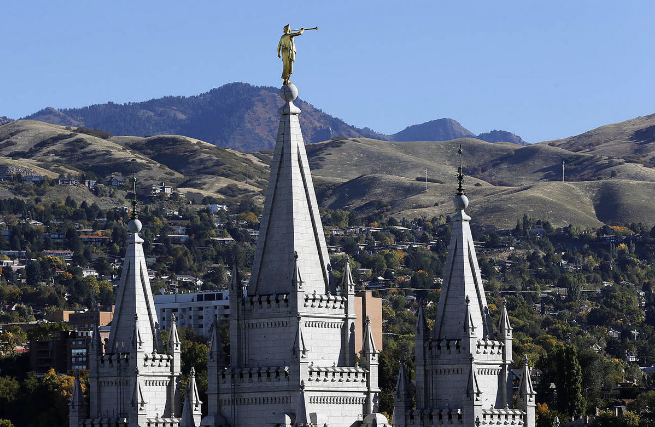 The Texas man who conducted a three-week campaign this summer publicly opposing a policy of The Church of Jesus Christ of Latter-day Saints now faces possible church disciplinary action on Sept. 9. Why has a Houston-area church leader called a local disciplinary council for Sam Young, a former church bishop? It isn’t because Young wanted the church to end sexually explicit interviews of children, as he said and a Newsweek headline stated, according to a church official. But research suggests that when youths have positive interactions with adult leaders who are religiously active they have positive outcomes and become well equiped to handle challenges as they become adults. Local church leaders conduct interviews to assess worthiness for baptism, confirmation, missions, advancement in the Young Men and Young Women programs and temple attendance. They also use the interviews to counsel, advise, support, inspire and guide children and youth, the church has said. My first "sexual-oriented" interview took place 53 years ago, when I was 12 and was about to be ordained a Deacon in the Aaronic Priesthood. This was taking place in Northern France, where there were very few members at the time. The Branch President only asked me, "are you pure"? and I asked, "what does it mean?" and he told me, "you come from a good family and I don't think we need to go any further in this", then hugged me and I was ordained a Deacon. I know times have changed since, but there is always more good than bad in whatevever the Church does to bless its members, regardless of the mistakes some Leaders make. The problem with members such as Brother Young, is that they turn it around, and make the bad look worse than the good, thus "throwing the baby along with the bath-water." We can't let those people do that, because they have fallen under influence from the "Father of Deceit", who makes good look bad and vice-versa. IM GRATEFUL FOR GOOD CHURCH LEADERS. ONE OF MY SONS AND I HAVE FOUR AND A DAUGHTER...BUT THIS ONE SON DURING HIS INTERVIEW WHEN HE WAS 15 AND 16YRS OLD DECIDED TO SPEAK TO THE BISHOP ABOUT A PROBLEM HE WAS HAVING WHILE STARTING DATING. HE NEVER SPOKE ABOUT IT TO ME UNTIL WAY LATER. I WAS SO GLAD HE HAD SOMEONE TO SPEAK TO AND BE COMFORTABLE SPEAKING ABOUT A SITUATION THAT WAS IMPORTANT TO HIM BUT DIDNT WANT TO SPEAK TO HIS PARENTS ABOUT. HE WAS GIVEN GOOD ADVICE AND IT HELPED HIM A GREAT DEAL. IM GRATEFUL AS A PARENT FOR THE GUIDANCE OF HIS BISHOP AT THE TIME.